There are a few questions in the world of responsible business which always get attention. These are the thorny, difficult, riddled-with-potential-conflict-of-interest-and-controversy questions. Thinking about the last one here, that’s got to be on a case by case basis. It means going beyond a press release, website statement, tweet or PR-oriented approach. Given headlines like this in the news, more and more each day: China puts human rights activists on trial, business is being asked, and will be asked more often, to help make a positive contribution. Like it or not, it’s happening. On the question that’s the title of this post naturally I would argue the answer is yes. If the company you work for wants to achieve human rights and environmental objectives that is. If your firm is made up of sociopathic nihilists, then the answer would be no, but 99.9% companies are not. Well put, Kate. And this isn’t all that new. Companies have done this in countries such as Cambodia, South Africa and China for quite a few years. Let’s remember it was partly business objecting to apartheid in South Africa that led to the end of it as a policy. So let’s talk about what this looks like in practice. 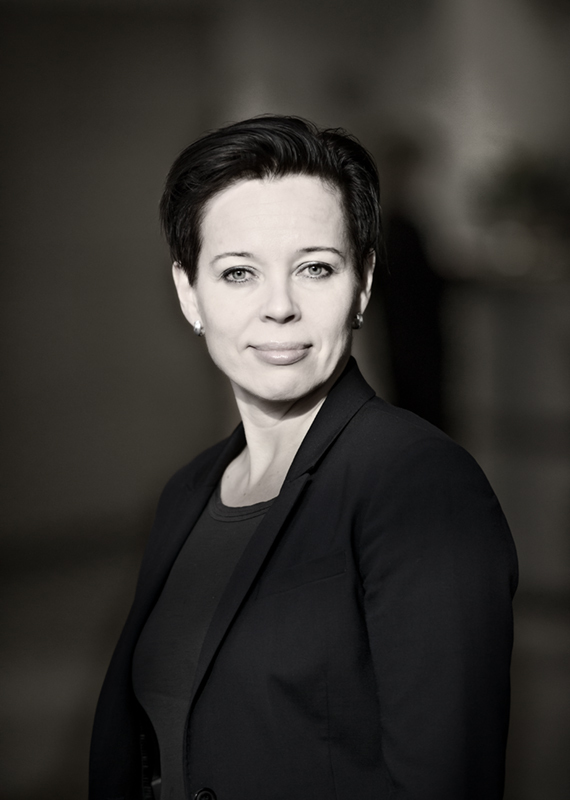 As a follow up, I asked Lea Rankinen, senior vice president, sustainability and CSR at S Group*, the company taking the action, to offer a little more insight as to why they have done this. The short Q&A is below. The commendable approach at S Group of course is not the only way to support social and environmental activists, there are many others, which I will discuss in a follow up post. Meanwhile, here’s Lea on why S Group decided to stand up for the rights of human rights campaigner Andy Hall. 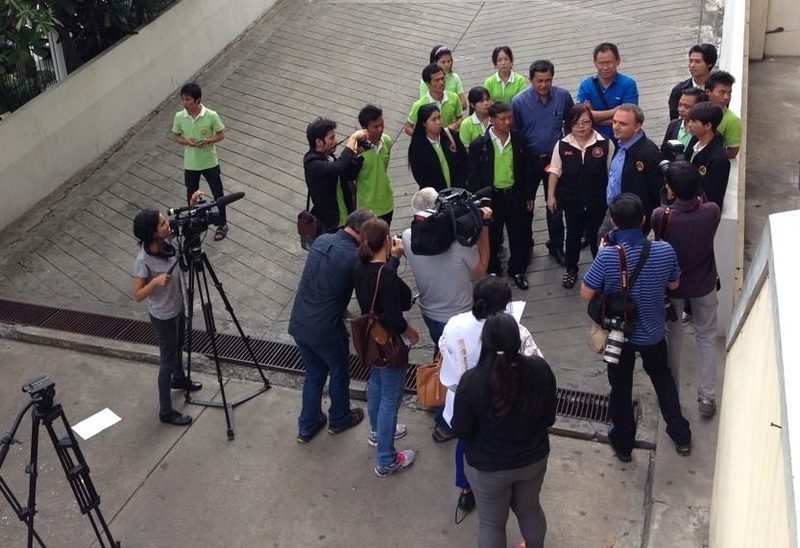 Your company has taken a leading stance on defending a human rights activist, Andy Hall, in Thailand, over a report he wrote about a former supplier. Why have you done this? “We did value that report. 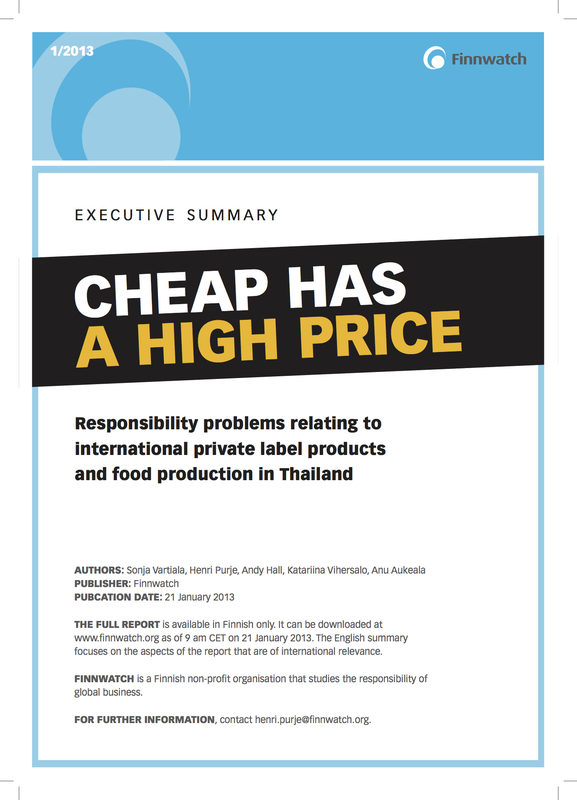 We have always adhered to strict ethical principles in our purchasing, but following the 2013 Finnwatch report, we took immediate action with our suppliers in Thailand to further advance the implementation of our responsibility policies in supply chains. We in S Group feel that the work of Civil Society Organisations (CSOs) is of great importance in developing working conditions and human rights in Thailand and others countries as well. To achieve transparency in supply chains we also need open and thorough surveys and dialogue. Such work should never be punished. It is in the interest of companies, too, to have a functioning civil society. CSOs produce information which is also highly relevant to us adhering to strict ethical guidelines in our global supply chains. BSCI, the sustainable business initiative of European retailers, importers and brands, has issued a statement in support of Andy Hall and has asked Natural Fruit Co. and its subsidiaries to drop the charges against Mr. Hall. S Group’s view towards the case is just as clear and unequivocal. What do you expect as outcomes from this work, even if the case doesn’t go as you’d like? i.e. are you looking to inspire other companies to do similar work? “I think it was important that we were there to tell our actions and corporate responsibility principles we follow to monitor working conditions and human rights in global supply chains. I do hope that the case is going to end soon as it should have been stopped in a first place. I think this case is actually very big change from respecting human rights to promote human rights. I hope this will be a good example and speed up companies to improve working conditions and human rights and work together with their suppliers and CSO’s. No matter what the result is, I hope this will be an example to other companies too to stand up in similar situations. We will continue the open dialogue and collaboration with CSO’s in the future too. How hard was it to convince a senior procurement colleague to testify in the trial? Tell us about the conversations you had internally. “This has been a long-standing case that began back in 2013. From the beginning we have made very open communication. All the actions have been planned in close cooperation between corporate responsibility and purchasing since the beginning. In Autumn 2013 we visited Thailand to discuss the findings and next steps with all factories mentioned in the report and other stakeholders. So my colleague, senior vice president for sourcing, Jari Simolin, understood his role and the importance of human rights from the beginning. To testify in the trial was anyway an issue which we also discussed at executive level. You’ve mentioned Turkey as a current and future area of similar human rights risk. What do you see as the challenges there, and potential solutions? My thanks to Lea for the frank responses and congratulations to S Group for their leadership. Not every company would do this, but more should. I’ll look at other tactics companies can employ in standing up for human rights and environmental campaigners in another post. The business case is ever-clearer. If you want to live your values, campaigners can help. How you can help them when undue pressure is put upon them is something I’ll offer some further thoughts about soon on this blog. * Disclosure: Innovation Forum has worked with S Group a few times in the past, providing trend and risk briefings and workshops on sustainability issues and management. Aug 2, 2016 | Posted by Toby Webb in Agriculture, CSR and Sustainability, Government, Human Rights, NGOs, Policy and Reform, Reporting, Seafood and Aquaculture, Slavery, Supply Chain | Comments Off on Should business defend environmental and human rights campaigners?